Roberta K. Winslow, 76, Fairmount, died Friday, August 17, 2018 at Marion General Hospital. Roberta was born in Peru, Indiana on August 9, 1942, daughter of the late John and Shirley (McNeely) Garner. She graduated from Bunker Hill High School in 1961 and attended Beauty College in Marion. She married Thomas "Tom" D. Winslow on November 12, 1961. Tom survives. Roberta loved her children and grandchildren. She enjoyed sewing and collecting angels and dolls. Roberta is survived by four children; Brian (Melissa) Winslow, Jonesboro, Lynne Jessup, Fairmount, Brett (Kimberlee) Winslow, Fairmount, and Vickie Winslow, Indianapolis, brother, John (Diana) Garner, Peru, three sisters; Kathy Hughes, Peru, Margaret Webb, KY, and Jayne (Bruce) Mohler, Peru, four grandchildren; Jodie (Todd) Rudy, Jeff (Sara) Jessup, Seth Winslow, and Sarah (Adam) Smith. 5 Great-Grandchildren. Roberta was preceded in death by her son-in-law Bill Jessup. 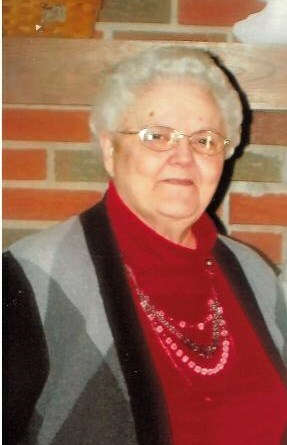 Arrangements have been entrusted to the Fairmount Chapel of Armes-Hunt Funeral Home and Cremation Services, 415 S. Main Street, Fairmount, Indiana Funeral services for Roberta will be at 11:00 AM Wednesday August 22, 2018 with Rev. Tom Jones officiating burial will follow at Park Cemetery, Fairmount, Indiana. The family will receive friends from 9-11 AM Wednesday at the funeral home. Memorial contributions may be made to Center Christian Church in care of the funeral home.